Here’s the first two still images of Park Min-Young in upcoming KBS2 drama series “Queen For Seven Days” (English title). In the upcoming drama series, Park Min-Young plays Shin Chae-Kyung. She falls in love with Prince Lee Yeok (Yeon Woo-Jin) and marries him. 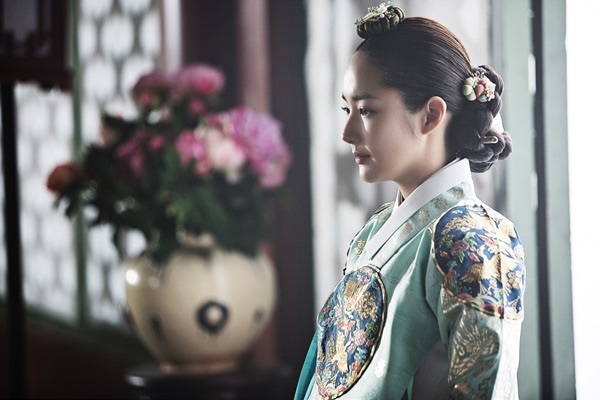 After Prince Lee Yeok takes the throne, Shin Chae-Kyung becomes the Queen. Seven days later .. she is removed from her position and expelled from the palace. Teaser #2 has been added on AsianWiki. will follow this, Park Min Young is a fave — loved her in Sungkyunkwan Scandal, Healer, Remember – War of the Son…..